SOC algorithms were also evaluated. This testing allows for powertrain related algorithms to be deployed to the full system with a level of certainty. Hardware-in-the-Loop (HIL) testing allows for scaled to full-scale evaluation of components without constructing full-scale vehicle prototypes. 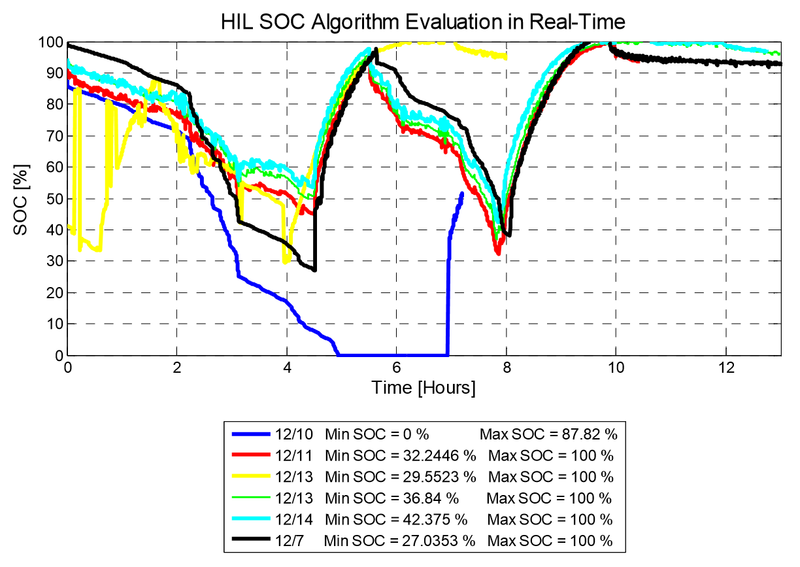 HIL is also a rapid means of performance evaluation of difficult to model components, in real-time simulation with up to full-scale components providing their own response in place of a model. HIL also provides a working tool for control algorithm refinements prior to full system integration. In hybrid and electric locomotive applications this is particularly important while choosing the battery chemistry and sizing the energy storage system. Energy storage HIL testing permits optimal sizing of battery power and energy density along with management algorithm tuning. In general, HIL provides insight into optimal locomotive powertrain design. 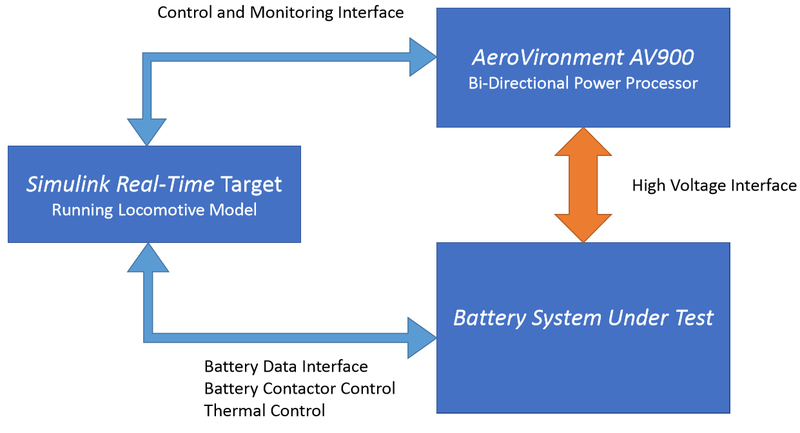 After the development of full EV and HEV locomotive models, battery component models were replaced with real-time interfaces to lead carbon and lithium cobalt batteries, which validated the battery models and helped tune vehicle controllers for direct application onto the vehicle platform.